Union Minister Smriti Irani also asked how those who indulged in "corruption" and "filled the coffers of Congress" target the "pradhan sevak"?. 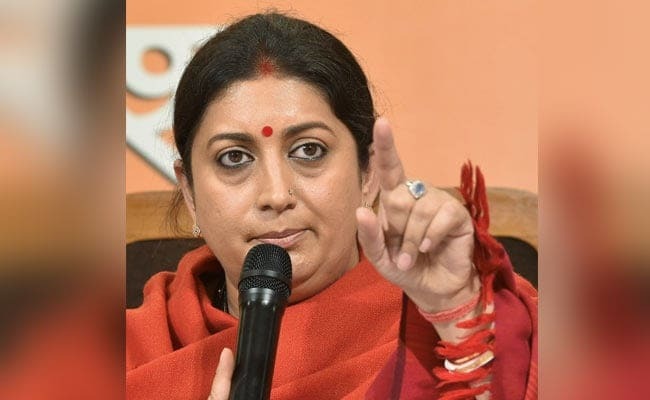 Smriti Irani's comments came in the backdrop of Rahul Gandhi's attack on PM Modi over the Rafale deal. Ms Irani also asked how those who indulged in "corruption" and "filled the coffers of Congress" target the "pradhan sevak"?. Her comments came in the backdrop of Rahul Gandhi's attack on PM Modi over the Rafale deal. In a veiled reference to Mr Gandhi's brother-in-law Robert Vadra's alleged acquisition of properties in London, she said, "Those who lived amidst the rich and looted the poor for years.. whose brother-in-law purchases assets in London, have the temerity to cast aspersions on the Prime Minister." Ms Irani was addressing a party meeting at Mahabubnagar in Hindi, organised as part of BJP's preparations for the coming Lok Sabha elections. 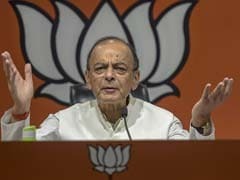 PM Modi had announced the procurement of a batch of 36 Rafale jets after holding talks with then French president Francois Hollande on April 10, 2015 in Paris.